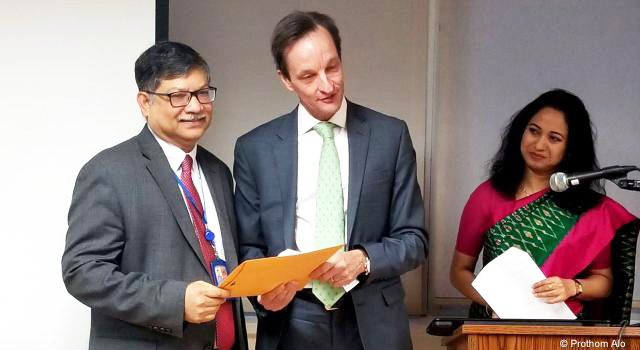 The Federation of Indian Chambers of Commerce and Industry (FICCI) and the Bangladesh High Commission in New Delhi jointly organized the seminar "Bangladesh's Graduation from LDC: New Frontiers and Horizons for India-Bangladesh Economic Engagement." Bangladesh has met the eligibility criteria for graduation from “Least Developed Country,” and aims to become a middle-income country by 2021. Mr. Manish Singhal, Deputy Secretary General, FICCI noted that classification of Bangladesh as a developing country would leapfrog the existing bilateral engagement between India and Bangladesh. Mr. Syed Muazzem Ali, High Commissioner of Bangladesh to India, highlighted how Bangladesh-India bilateral ties could act as a catalyst for strengthening regional and subregional cooperation and integration in the region. Both countries are involved in the subregional grouping Bangladesh-Bhutan-India-Nepal (BBIN) initiative, as well as in inter-regional cooperation through the Bay of Bengal Initiative for Multi-Sectoral Technical and Economic Cooperation (BIMSTEC) and the Association of Southeast Asian Nations (ASEAN). Bangladesh and India are also working to facilitate greater trade, developing new land ports and better infrastructure, and cooperating to dismantle non-tariff and para-tariff barriers. Dr. Ram Upendra Das, Head and Professor, Center for Regional Trade, Department of Commerce, Government of India, urged both Governments to fast-track South Asian economic integration by adopting an integrated approach to trade in goods, services, and investments, to benefit from their synergies. Dr. Pritam Banerjee, Senior Director, South Asia Corporate Public Policy, DHL Group reminded the group that the challenges faced by the eastern part of India are not much different from those in Bangladesh. It is in the interest of both nations to work on improving connectivity.